Truth, Justice… and the American way? When I was young, like many kids – that would grow up to write blogs I’m sure – I was a fan of the exciting and vivid world of comic books. While I’d spend my afternoons pouring through the occasional Batman or Green Lantern comic, my favourite was perhaps the original comic book icon, Superman. His alter-ego Clark Kent was awkward and generally faded into the background noise whether at work or in his own life. Yet, the closest phone-booth was all it took for the farm kid from Smallville to shed these shackles that held him down and become a genuine hero that embodied qualities that any young kid would aspire to. I’m Canadian, born and raised. I’ve been aware of the concept of the United States of America perhaps for as long as I have read comic books. Perhaps it was from these illustrated adventures that I learned what I came to understand as the American ideal. The world of comics were a perfect vehicle for storytellers that have taught generations of kids that America represents a force for good in the world. In fact, we learned that truth and justice weren’t only good ideas; comic books, and specifically Superman taught us that these were the American way. Superman has been referred to as the “All-American hero from the planet Krypton” and some Canadians are aware that one of his creators Joe Shuster hailed from Toronto. Yet, perhaps as Canadian kids, we held special affinity to this “All-American” as one of our own. Indeed, the Man of Steel was a foreign force for good in a land of people that believed in the same. Shuster and Superman’s other creator Jerry Siegal first penned our hero in June 1938 when America, and indeed the world, were facing an uncertain future dealing with a force that sought to erode liberty around the globe. It is not unreasonable to suggest that Superman was born out of the idealism that Americans (and via Shuster, Canadians) saw in themselves during that dark time. That is why I report, with mixed feelings, my viewing of the latest movie offering from the people at DC. Superman Returns is certainly a well-executed revival of a movie series that unfortunately spent much time on hiatus. 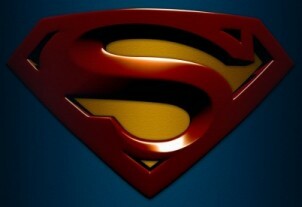 The movie was a touching return of Krypton’s son to both the people of Earth and to his fans, now a little older. There are many historical references for long-time Superman fans including a full-action recreation of the cover of Action Comics #1, the first appearance of our hero in the comics. Perhaps it is fitting for Superman to return to a world that finds itself in another vulnerable time in its history; a time where America faces a war, terrorism and an uncertain future. The world needs Superman when it yearns the type of idealism that America has brought to it in the past. However, during the movie, Jimmy Olsen and Daily Planet boss Perry White proclaim that Superman represents “Truth, Justice” and, and… it’s lost. It was a subtle omission but for true fans of Superman we could only infer that the screenwriters were editorializing that Truth and Justice were no longer the American way. In fact, “America” as a concept is so strikingly missing from the film that we see nary a flag nor hear a mention of the country. This stands in stark contrast to the original Superman movies in which our hero straightens out the Stars and Stripes on the moon. In 1938 and in the 1980s, America sought to project its image upon the world. In 2006, American filmmakers can barely mutter the nation’s name. For a kid who grew up equating what Superman represented to the idealism of what America represented to the world, it left a pit in my stomach. America has certainly become polarized in its politics and unity in partisanship is hardly a prerequisite for a solid and strong democracy; however, it is a tragedy if the country has stopped believing in itself. Because it is America’s idealism (along with truth and justice) that are its way. While I’m not American, I do believe in the nation’s ideals, yet it saddens me when it appears that the guardians of Superman’s legacy no longer do. UPDATE: Erik Lundegaard gives us some more information in the June 30th edition of the New York Times (in an article which strikes upon some of the main points that I did here), Ludegaard tells us that the phrase “Truth, Justice and the American Way” actually originated in the 1950s in the television series. It was first uttered by Superman himself in the first “Superman” movie starring Christopher Reeves. h/t to Cherniak for the NYTimes link and for writing about our common favourite superhero as well! Posted on June 29, 2006 Author Stephen TaylorCategories OtherLeave a comment on Truth, Justice… and the American way? What do you suppose the motive is behind this? BAGHDAD, Iraq (AP) — Eleven Sunni insurgent groups have offered to halt attacks on the U.S.-led military if the Iraqi government and President Bush set a two-year timetable for withdrawing all foreign troops from the country, insurgent and government officials told The Associated Press on Wednesday. In other news, groups known as terrorists are known to manipulate politics using violence against civilians to advance an agenda. They can’t seriously think that anyone would believe them. Nobody will, right? This reminds me of the letter that Iran President Ahmadinejad wrote to US President Bush. There were many parallels to various left-wing rants on topics from Israel to Iraq. One should reconfigure their political talking points when they start to line up with those of the enemy. Today, Blogging Tories started to feature a new banner advertisement for the Liberty Summer Seminar. The advertising comes free of charge for my friend Peter Jaworski who runs this annual event, now in its sixth year. So, what is the Liberty Summer Seminar you may ask? The Seminar is a gathering of those who embrace the concept of liberty at the root of their politics and beliefs and those who wish for a freer world based upon this principle. This will be my second year at Jaworski’s event and my first year as a featured speaker. Other speakers this year include Dr. Michael Walker, Ezra Levant, Dr. Jan Narveson, Dr. Pierre Desrochers, MP Scott Reid, Danielle Smith, John Carpay, and Jason Talley. It is the Canadian libertarian event of year and I encourage you to attend if you are a fan of, or would like to know more about, the issues that surround liberty. You know her from her opiniated columns in the Calgary Herald and from her days as host of Canwest Global’s popular talk show Global Sunday, now Danielle Smith has returned to advocacy work for the cause of liberty with the Alberta Property Rights Initiative. We chatted this weekend about a variety of property rights issues ranging from environmental considerations, the Kelo decision, to Caledonia. We also discuss her future potential ambitions, Alberta politics and the effect of blogging on politics. Two events left the Canadian Broadcasting Corporation looking silly this week. First, a questionable decision was made to preempt its flagship national newscast program by an U.S. American Idol copycat called The One. This comes after Peter Mansbridge’s nightly newscast has been bumped around by Hockey, the Olympics, a lockout and even Figure Skating. A little too perfect in its accidental timing perhaps is the latest event that has embarassed the CBC this week. A Senate report has stated reservations about the very same type of behaviour just mentioned; the Senate committee on Transport and Communications has expressed its sage opinion that the CBC should not be competing against the private sector, to which one would allude, with reality television shows with mass-appeal. Indeed, there is an argument to be made that a crown corporation should not be competing with private companies that put both CTV and Canwest Global on the air. The committee also recommends that CBC stop televising sports since coverage is available on private networks. The Olympics has already migrated to CTV, Brian Williams has left (and was reportedly fired by fax when he informed the Corpse of his intentions), and will it just be a matter of time before we see Don and Ron migrate over to either CTV/TSN or Global? So, what does the committee recommend instead? The committee suggests that the state-run broadcaster stay within the realm of cultural television and programming that does not compete with private outlets. Also, the committee recommends that the CBC do it ad-free and that the taxpayer pick up the $400 million tab in lost revenue. Reaction has come from a variety of sources. Margaret Wente offers an interesting solution, a reality tv news show! 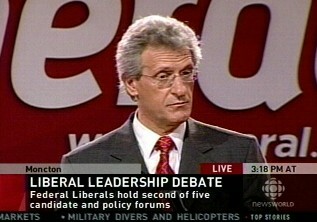 Last fall, CBC boss Robert Rabinovitch swore the network would never sacrifice its principles for ratings. “There are certain types of programming that we don’t have to do,” he said. But that was then. And now, The National will be bumped on Tuesday nights by something called The One, in which aspiring singing stars (American ones) get voice coaching and try to make it to the big time. There is an obvious solution for CBC-TV’s perpetual dilemma over ratings. Turn The National into a reality show! Of course, the news already is real, in a way. But it lacks the crucial elements for ratings success. Where’s the behind-the-scenes drama? Where are the real-life stories about real people trying to claw their way to stardom? Where’s the youth appeal? Where are the cute young babes in bikini tops? Nahlah: You are so obnoxious. You’re just an apologist for Hamas. Neil: Get real, babe. The Israeli army should be tried for war crimes. So the CBC will bump The National to make room for an American reality program. Has it really come to this? Is the self-proclaimed guardian of our culture going to scrap its dignity in a mad grab for ratings? If so, then I have a suggestion for the next CBC reality show. Now that would be must watch TV. The blogosphere is buzzing with the release of a poll from Environics about Childcare. Surprisingly, many MSM outlets are reporting the results of the survey without noting the flawed methodology. CTV even goes so far to conclude that 50% indicates that Canadians favour the Liberal child-care plan. So, you must be asking yourself, did 50% of Canadians really choose the Liberal plan when presented by a non-prompted, fully detailed, and fully disclosed question? The answer is no and it is irresponsible for news outlets to report it this way. 5. The new Conservative government has announced as one of its major platforms a new child care plan that will provide parents with a $1,200 per year allowance for each child under 6 to help them pay for child care. This plan will replace the national early learning and child care system announced by the previous government, which was to provide provincial funding to create 100,000 new affordable child care spaces. a commitment to provide incentives to create 25,000 flexible child care spaces per year through the Child Care Spaces Initiative, beginning in 2007. The Liberals have been promising a childcare plan for 13 years and they haven’t delivered. The poll fails to mention that the provinces only had a one-year commitment from the Liberals on funding. Subsequent to the failure of Liberals to deliver on their childcare plan, the Conservatives have delivered on their plan as $3.7 Billion was set aside in the 2006 budget (passed unanimously in the House) for the $1200 tax allowance. The House of Commons ratified the Conservative government’s budget to provide a $1200 tax allowance for each child under 6 to provide a choice in childcare. The government plan also includes measure to create incentives that will produce 100,000 childcare spaces over the next 4 years. The Liberals promise is to take away the $1200 tax allowance and to create a national subsidized childcare plan with 100,000 spaces. Which do you prefer, the Conservative plan, or the Liberal promise? Now, of course, that question isn’t appropriate for an poll either. It is, however, more honest. In addition to cash for parents, the Conservatives have pledged to create 125,000 new daycare spaces by offering $250 million in tax credits for businesses and non-profit groups that create new spaces. This is unfortunate because the poll did not inform the respondent of this half of the Conservative plan. This disappointment is compounded by CTV’s actual reporting of this fact because it makes it seem that poll respondents were aware of this. As alluded to above, the headline question was question #5. This, of course, allows pollsters to bias their sample prior to asking the question that pays the rent. This question lists the fantastic values from childcare programs, which of course, wouldn’t be a problem if the pollsters hadn’t presented the headline question (#5) as a choice between hard cash and child care spaces. But since they did, respondents are dishonestly primed by question #1 to prefer a plan that favours rationed childcare. Of course, while this rationed childcare is part of the Conservative plan, the pollsters fail to mention it in the headline question thus accomplishing the desired skewed result. 2. There has been a lot of discussion recently about the issue of child care. How serious a problem do you believe the lack of affordable child care is in Canada today? Would you say this issue is a very serious, somewhat serious, not very serious, or not at all serious problem? Respondents are left to think that the lack of affordable child care is a serious problem. While respondents could answer “not at all serious”, to do so would be to disagree with the question which suggests, in fact, that this is a serious problem. This question also is intended to prompt the respondent for the headline question. While it isn’t necessary for the poll to specify who commissioned the poll, CTV does so. However, full disclosure is still wanting here. The poll was conducted on behalf of the Child Care Advocacy Association of Canada (CCAAC). What CTV fails to mention is that CCAAC is a lobby group that acts on behalf of those that would want a national unionized daycare system. Ironically, when CTV and other outlets of the MSM report on research conducted by the Fraser Institute, they are often quick to provide the descriptors “right wing” or “conservative leaning”. UPDATE: This post made the Sun’s best of the blogs for June 22nd. I caught this clip around lunch-time yesterday as Nancy Wilson of CBC Today was celebrating the second largest surplus in Canadian history. Wilson was setting up the story for business reporter Jeannie Lee and advised Canadians to pat themselves on the back for a job well done. Translation: Hey Canada! Last year, your taxes were $26 Billion higher than necessary. You each gave away over $1000 (assuming 20 million Canadian taxpayers) that the government didn’t even use. Why do Canadians celebrate huge surpluses as if it were some indication of profit? Even those on the left would complain that a surplus is an indication of a government under-spending while those of us on the right would complain that it represents over-taxation. When we talk about a balanced budget, shouldn’t the balance point find itself between deficit and surplus? I suppose that a relatively small surplus might be ideal to insure against national emergencies, but should we really be celebrating the second largest surplus in Canadian history? Why is the Liberal Party of Canada a news source in Google News while the Conservative Party is not? It should be noted that while Google News does list news releases concerning the daily functions of the government of Canada under “Government of Canada (news releases)”, it does not list partisan press releases from the CPC as it does for analogous releases from the Liberal Party of Canada. So while Google News lists the partisan Liberal story from the liberal.ca website “First Leadership Forum Sparks Lively Debate“, the CPC press release titled “The Prime Minister pays tribute to the Canadian Forces” is not included. Granted, some press releases do overlap between conservative.ca and gc.ca, however, Google News lists sydicated stories from multiple sources as individual entries. Partisan news releases do not appear upon the Government of Canada website and while the extra-curricular backslapping activities of Her Majesty’s Loyal Opposition are linked by Google News, the Conservative Party comes up short. So, where does Google put press releases from Conservative.ca? and does the Liberal party receive the same second-class treatment? Last week CTV confirmed the over $20,000 in improper travel expenses ($23,500) and they confirmed my report of a special Senate meeting of the Board of Internal Economy. David Akin also revealed some other interesting details about the story in his televised report that night. “A Senate committee report into the alleged misuse of funds by Liberal Senator Raymond Lavigne will be referred to the RCMP for further investigation, CTV News has learned. My thanks to David Akin for the hat tip! UPDATE: On Mike Duffy Live, Steve McKinnon, the president of the Liberal Party of Canada has just declared Bill Graham’s decision to boot Senator Lavigne from the Liberal caucus “at the first whiff” of the referral to the RCMP as “decisive”. Lavigne was removed from the Liberal caucus today. Sorry Steve. I caught the stench last week and broke it here on this blog. The “first whiff” of the referral to the RCMP is one week old.